The Glasgow Office enjoyed an exciting year of growth while developing a strong profile across a number of sectors. The commercial and retail sectors enjoyed continued success by winning a number of new build and refurbishment projects. On the commercial office front, our building services team was engaged in the design of over a million square feet of office space with the majority of the space achieving an A rated EPC. Several projects secured BREEAM Excellent accreditations including the Ensco office at Aberdeen Gateway. This business park is also home to a new 156,000 ft² warehouse and office facility for Total which featured air source heat pumps and photovoltaic array. Our work was recognised on a number of occasions. Our refurbishment of the Art Deco former BBC Headquarters building in Glasgow was recognised by winning a British Council for Offices regional award while our fire engineering work at Notre Dame School in Glasgow won a Civic Trust Award. 2014 saw strong growth in our tertiary education portfolio undertaken from our Glasgow office. Repeat building services engineering commissions were secured at the University of St Andrews, the University of the West of Scotland and the University of Stirling while our fire engineering team secured their fourth contract for the University of Edinburgh. We were delighted that Angus Roberts, who worked in the London office for a number of years, accepted an offer to start and lead a new office in Edinburgh with us. 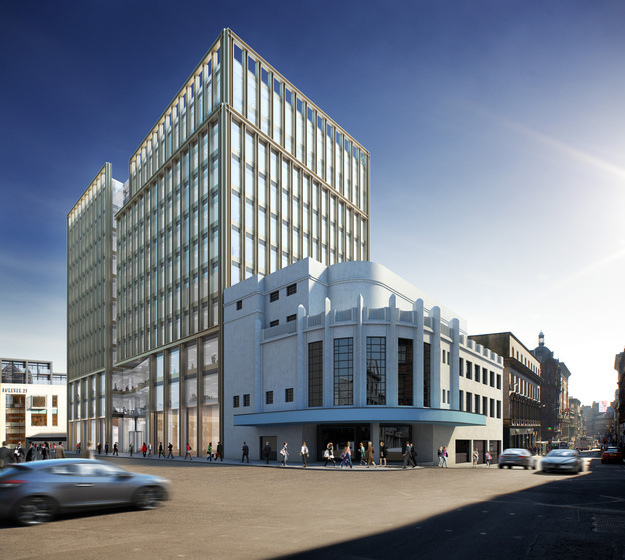 The new office on the corner of Hanover Street and Rose Street is in the heart of the city and will offer us an opportunity to build on a growing reputation in Edinburgh which already spans hotels, retail and university work. Our fire engineering team continued to grow in numbers securing some high profile work for the Theatre Royal and Citizens Theatre in Glasgow. Commercial activity was strong in Aberdeen where the team added value to no fewer than six major office developments. This was complimented by a number of school, residential, retail and a growing healthcare portfolio with work starting on new health centres in Edinburgh and Glasgow as well as the new pharmaceutical production facility at Nine Wells Hospital in Dundee. Healthcare refurbishment has also featured strongly with development at Monklands in North Lanarkshire and Raigmore in Inverness. The broad range of experience and expertise of the fire engineering team is reflected in the diverse geography of our projects from the new Bee’Ah sustainable headquarters building in the United Arab Emirates to the refurbishment work for the Tricycle Theatre in London and the new Police Headquarters office in Durham. In the continual development of our fire engineering work, Atelier Ten’s advanced computer fire simulation modelling now works in coordination with full BIM standards for projects with architectural REVIT models. Inputting directly into the fire modelling allows for exact replication of the building in fire simulation and evacuation, which further increases the level of fire safety in the building while helping to eliminate over provision through generic application of standards.